We are a mobile distribution and coordination team. 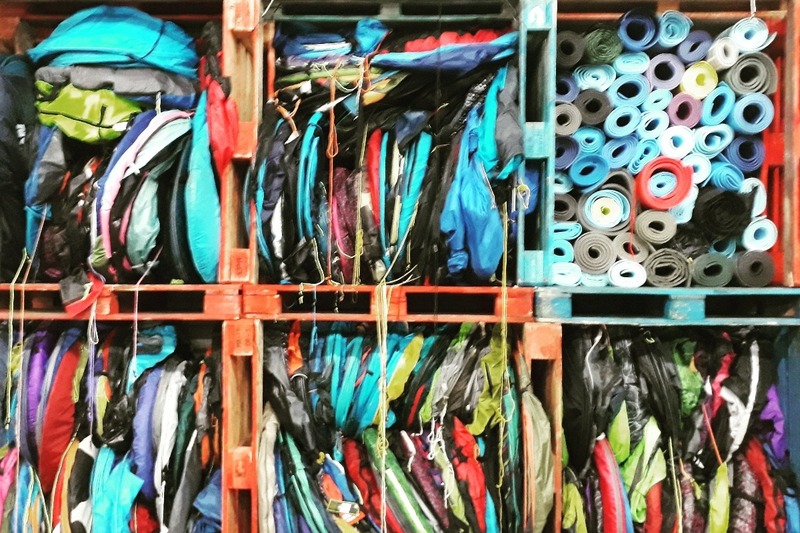 During the day we work from a warehouse, sorting and receiving donations. During the night we work from our vans distributing vital aid in the most effective, responsible and thorough way possible. There is also a drop off point at the warehouse for donations. Please send us a message for the address. We try to keep our costs to a bare minimum, which is often a struggle as we are operating in one of the most expensive capital cities in the world. The vast majority of donations go directly to helping those that valiantly struggle through every winter night. 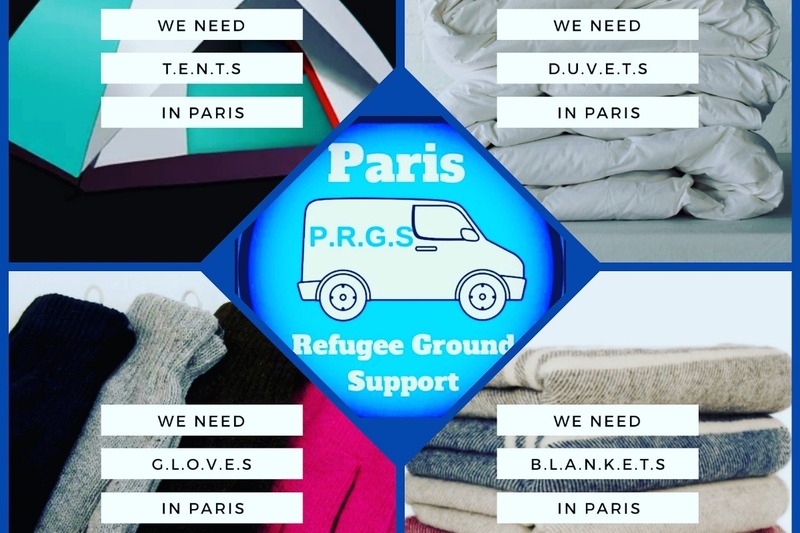 Our vans are our essential tools that allow us to reach out to large numbers of displaced people from Afghanistan, Iran, the Sudan, Eritrea and north Africa that are left totally alone to brave the Paris streets. We coordinate donations from the UK and Europe. We distribute essential aid to people surviving the brutality of inner city street life. 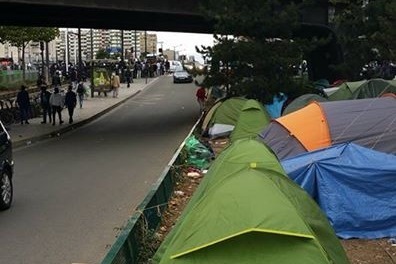 People live, if they're lucky, in a small tent on the side of traffic heavy main roads, not knowing how soon it is likely to be taken away by the authorities AGAIN. AND AGAIN. AND AGAIN. How must it feel having to rely on food donations and water handouts, how degrading must it be having to position bins on a busy street just to have a modicum of privacy to strip off and wash, having to use man holes and portaloos that are overflowing and gut wrenchingly foul. The autumn is here and winter will soon be upon us. This is the hardest time for everyone. It's freezing cold, wet, dark and very often dangerous. It's tough living in the extreme. We will provide essential humanitarian aid and comfort to those living in these appalling and hopeless situations. We work with dignity, with passion and with determination. We liaise with other like-minded groups to offer maximum support. The media may have forgotten what is happening but the reality remains desperate. Whatever you can give will go towards making a difference for those with no choice other than to keep on going in this harsh and unjust situation. We can never thank you enough for choosing to support our efforts in Paris. If you have any of these items spare, please send us a message for more information about how to donate them. Or help us buy them.